In order to find out how different self-defense handgun loads perform, we decided to do some ballistics gelatin testing of our own. 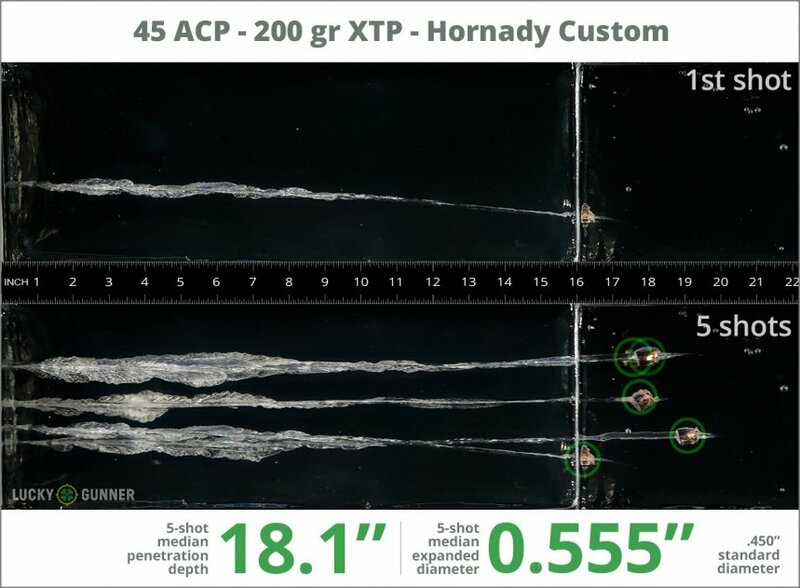 The chart below is a compilation of expansion and penetration data for Hornady 200 gr XTP fired from 10 feet, through four layers of fabric (to simulate clothing), using a Kahr CW45 pistol. 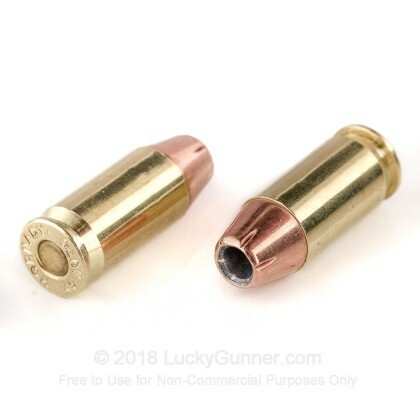 1.04" This ammo: 0.56" Min: 0.45" Median: 0.64" Max: 1.04"
18.1" 0" 8.3" 16.7" 32" This ammo: 18.1" Min: 8.3" Median: 16.7" Max: 32"
I have used this ammo in other calibers also with the same results, Accurate,Deadly,and Dependable. Hornady ammo is the most dependable ammo I have ever used. The XTP bullet may have originally been a hunting rd, but you need the same accuracy in a self defense ammo. 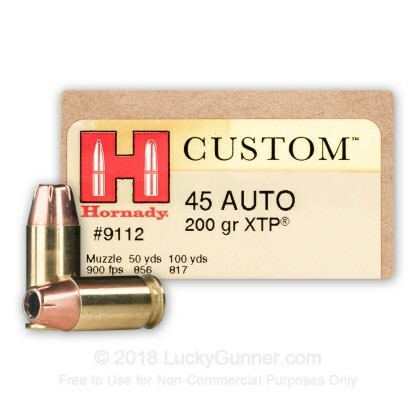 The 200 gr Hornady XTP is a top contender for a good ccw choice. The Lucky Gunner gets another great review - as always!! Service is always quick and dependable. I see no reason to go anywhere else for ammo. Great value, selection and shipping. All displayed ammo is in stock with number displayed. Shipping is extremely fast. Ammo is well packed and arrives in a few days. First hollowpoint put through my newer Ruger SR1911 CMD and it performed very well. Probably will use this as my primary HP self-defense carry ammo for this weapon from this point forward. I am not sure who is best. 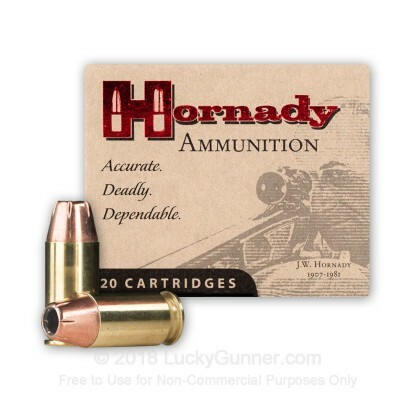 Hornady great rounds or Lucky Gunner for their outstanding service and pricing. How about a tie. Texans know best. Good round , accurate from my pistols. Good terminal performance as tested. Shoots to point of aim. Great rounds at a great price. Always in stock, and ships quickly. I like this ammo, because it is high quality and the performance is tops. I like it because it is not only excellent personal defense ammo but, a bit more knock-down power than the seemingly more popular 185gr. For me nothing beats Hornady quality and .45cal. "Hit the bad guys fast and hard" - Hornady defense ammo and 45cal. is second to none.